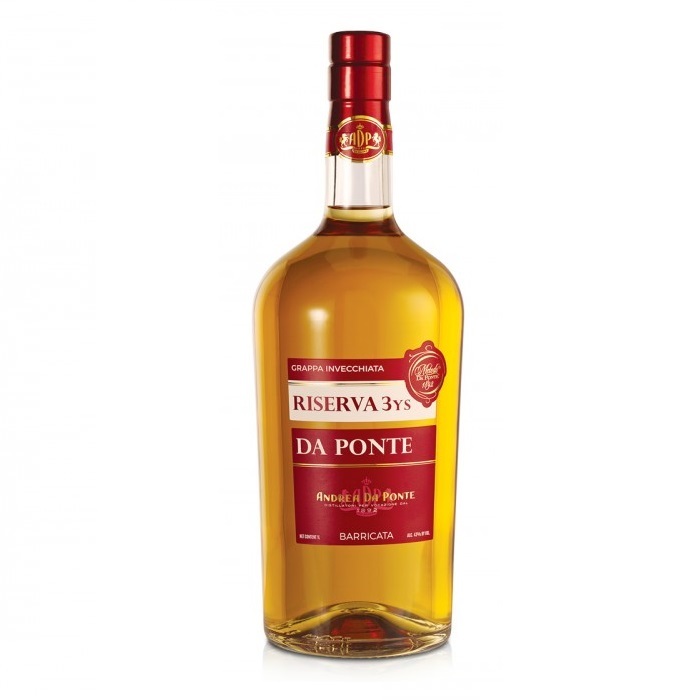 Grappa Riserva is an exclusive grappa from the hills of Conegliano and is aged in old Slavonian oak casks. The finest red and white pomaces are skillfully mixed to create a distillate which ages three years to reach the peak of its perfection. Clear and bright, Grappa Riserva releases a bouquet whose layers of floral and balsamic-wood scents make it particularly delicate. It has a smooth and assertive palate which captures the senses with its heady vanilla overtones, apple notes and hints of crusty bread.